Why the devil haven't I been getting notification emails from this!? At least I've caught up now. I'm really enjoying it, as ever. I think Ailana will certainly be more safe with Tim than Tytus. Looking forward to further parts. Ailana lay in bed, wrapped tightly in comforter and blankets. The balcony window was open and the frigid Arakis night air seeped into the room, but covered as she was she found the sensation pleasant: the cold on her cheek was offset by the warm blankets about her. She dug her toes into the plush wool blankets and silk sheets, and burrowed herself deeper into her covers. It was late, very late, and even the midnight fire the servants had set in her chambers to wait for her return from the council chambers had long since burned out, leaving the room in starlit shadow. She estimated there were only a few hours left til dawn. She should be sleeping; yet she could not. As weary as her eyes and limbs were, her mind was still abuzz. The council. The council…. It had been so…. Something about it. Something was strange. Yet when she tried to put her mental finger upon it, the thoughts wiggled and squirmed out of her grasp. It was…nothing. It had opened as she expected, with repeated talk from the Minister about the purity and depth of ithilmar vein, and the speed with which it could be developed, then shipped to the craftguilds of Lothern. His announcement was followed by the Ellyrion lord’s comments about building closer ties between Tor Elyr and the colonies. A union between the City of Silver Bridges and that of Spires, he had called it. And judging by the lack of reaction from the other envoys present, all had known his meaning. The news of the marriage offer must’ve spread like wildfire throughout the embassies. They seemed to be biding their time and judging the colonial response. In the meantime, Ailana watched them, as they watched each other, and wondered if the floodgates of proposals might soon open. And if that happened, would the Honor of Tor Irian be enough? Or might the colonials demand even more? Their appetite for power and influence seemed voracious and unending. Would she be heading down a slippery slope of favor and ambition with them? And…how badly did she want to see Aicanor secluded into that Blue Tower of theirs?? She winced at that thought. No, I am not a traitor. If it is to be, it is to be for the good of Irian! She told herself. Yet could they compete if the floodgates opened? The lord of Tiranoc, despite his earlier protestations had made a move: he had spoken about the possible return of lands near Anroc, and with them the restoration of ancient titles to the line of Spires. Titles of Tiranoc and Ulthuan, the lord had carefully emphasized, eyeing the Minister. Which in turn, the lord had continued, would make for possible unions between the Houses more legitimate. She had winced at that. The way the Tiranoc lord had uttered the word ‘legitimate’. It was acidic and vapid at the same point, like a cuff to the cheek. She felt partly embarrassed for the lord, and because of him. The colonials were their hosts afterall. And yet…there was a truth to the statement. The titles of Ulthuan dated to the peerage and Aenarion. What else mattered? If the Prince of Spires could reclaim land and title in Tiranoc…? Though she was amazed that the lord would offer such a price, even for ithilmar. Upon further thought she reflected that the actual account of this ‘restored land’ was vague to the point of being non-existent. A marshy island perhaps? Some dry hunting preserve a local lord wanted not? Perhaps. Probable, even. And yet, it was a holding on Ulthuan, the sacred continent. The elder home, and place of the Everqueen. Even a flyspeck there would grant legitimacy that all the vast wastes of the Arakis and beyond could not. No matter how much wealth be buried in their sands…. And that thought seemed to cross the Minister’s mind as well. For instead of scoffing at the tone of the offer, he listened, intently. She felt that conversation like a knife in the ribs. A threat it was. A threat to her plans, and to her ambitions for Tor Irian. Only a marriage with a ruling Princess might offset the legitimacy of that kind of offer. And even then, as a Prince-Consort, the colonial would have no sovereignty in Saphery. But his children…? Would Spires’ ambition plan even that far forward? All these questions and no answers tumbled one after another through her half waking thoughts. She would have rather been counting golden rams than problems! Yet sleep was denied her. Ailana was an envoy of Saphery; she had to plan. And then there was Narrin’Tim…. Damn that Nagarathi! How he distracted her! Not for his efficacy in the negotiations. Nor aid in same! That was for certain! Why, he was as useful as a toad on a log! He just stood there, behind her, leaning on his bow, and looking for all the world, bored! Bored!! A vast fortune in ithilmar, enough to set the political tone and advantage of the houses of Ulthuan on edge for a generation, and he looks…bored?! And yet she couldn’t stop looking back to him. The way his grey eyes slowly roamed about the room, unconcerned, untroubled, unthreatened…. He was like a wolf amongst foxes, baying and yapping around him. She flushed at that thought. Yes, she had heard about the arrogance of the northerners. But seeing it…rankled. And yet… she wanted to feel those eyes upon her. And that thought made her flush, and open her own eyes. The blanket was pulled up to her nose. The air was dark and cold in the room. The canopy of the bed some few feet overhead, its satin coverings fluttered softly in the night breeze. And, acerbically, the lady from Cothique had asked how many swords a Sword needed? It made Ailana smile. She had been unable to keep track of the knives, fascines, falchions, and hatchets fastened to the Nagarathi’s body. When she had asked, he had just mumbled something about wanting to be prepared. Her smile faded to a scowl as she found her thoughts trying to figure out the enigma that was Narrin’Tim. He couldn’t really be that…unstudied. It must be a ruse. There must be something…. She heard the clink of glass on stone. Curious she blinked her eyes and rotated her head slowly about on her pillow. She could feel sleep fast approaching now, and stifled a yawn with one hand. Her eyes lazily sought out the source of the sound, until she saw it: a small bottle rolling on the floor not far from the room’s desk. It must have fallen off when the servants had set the silver fruit tray upon the desk that evening, she considered. And felt her eyes close. Except if that was the case, why was it still moving? Her eyes snapped open. She felt her heart now pounding in her chest, and the breath caught in her throat. Her eyes probed the darkness, looking into the shadows of the room. She was afraid to turn her head. Afraid to move a muscle; worried that doing so, might call attention to herself. And yet, if she did not…what if they were behind her? Even now, standing at the corners of her bed just past her shoulder?! With knife in hand! She wanted to scream, but fear and caution together held her voice. She needed to know. To see something. Slowly, so slowly she turned her head, craning her neck to allow her to sweep her eyes across the room. When her eyes swept to the foot of her bed they stopped. She saw the faintest distortion in the air. Like a blur in her vision, and yet it was moving even when her eyes stopped. Drifting, like a mist come in from the sea, it crept softly and slowly across the floor of the room towards the bed. And there the mist began to billow, silently, upwards, its tendrils seizing at the bed posts and spilling over the covers at the foot. Until Ailana saw a woman there, white as death, with eyes black and seeping ooze, like cauldrons of oil. The mouth opened and there was a nothingness inside. A cold clamor and a vision of something infinite…. Ailana screamed. From within the mist of itself the creature produced a long scythed blade, and with frightening speed the blade swung upwards. The Saphery girl seized at the canopy rope and pulled with all her might. The bed curtains collapsed about her as she rolled towards the rope. A moment later, a scythe of blue-light vapor came tearing through the bed, cutting fabric and wood alike! Ailana sprawled on the floor. Her body was flat, and her legs felt heavy. She didn’t know if she was cut or not. Afraid to look at the numbness and see a horrible ruin to her body. She propped herself up on her elbows and started to crawl. Towards the balcony. Towards the blade on the chair. Towards anything. The specter was there again. She saw it, floating across the floor. There were no legs to the thing, just the tendrils of the mist, glowing soft white and blues. But it had arms, and in them that long scythe. And the hideous black wells that made a mockery of a face. It was coming towards her, and try though she might, her limbs felt leaden and dead. She wanted to crawl, but as in a dream her body would not respond. Her arms and legs felt as if they were made of stone. She looked over her shoulder at the wraith’s approach. Felt the terror building up in her breast…. Suddenly a white light flashed through the creature’s breast! With a thud and a flash, an arrow buried itself in the wall over Ailana’s head! Life returned to the girl’s limbs and she rolled to her feet and dashed for the sword. Spinning about she could see Narrin’Tim charging across the room, bow and quiver in hand, releasing flight after flight as he came. Each shot pierced the creature with a sparkle of light. Each strike caused the creature to give a shriek, high pitched and painful to the ear. And yet the creature remained. With that same lightning speed its body stretched and contorted to a mist that spanned the room. Suddenly, the scythe leapt across the room and collided with the charging Nagarathi. She saw the blade sweep up and around with hideous force. When it impacted, she heard the thud and tear of metal against flesh; saw the bow and quiver go flying in the air; saw the northerner’s body fly backwards and slam into the wall with a crunch that shook the plaster and dislodged the wooden shelves. Ailana gripped her sword and charged forward. With a dogged determination the specter was coming towards her, sending out slivers of mistlike tendrils as it advanced. She slashed at these with her steel blade, folded and honed upon Irian’s Anvil itself hidden in the sacred glade beneath the Rainbow Waters of the Tor. Where the blade touched, the vapor singed and burned, and that same eerie women’s echo-shriek pierced her ears. Then it sprung towards her! The face, and arms reaching out, howling darkness and madness! The scythe coming down as if an arm in itself! Aimed not at her, but the blessed blade in her hands. With a clang, her sword was pulled from her hands and went with a clatter to the floor. Ailana gasped. Her hand burned with a cruel cold. She staggered back, as the wraith rose before her. Tendrils wrapped coiling about her neck. Squeezing. The black gaping eyes and mouth leaned towards her own. Coming in gently, and slowly, almost as if the kiss of a lover…. And then, the creature’s head thudded to the side. The empty face spasmed and looked confused. Then again, the head jerked to the side with a terrific force. Ailana felt the tendrils release her throat. She collapsed to the floor. And looked up, saw Narrin’Tim standing behind the wraith, his face covered in blood. The silver dinner platter in his hands. And once more let fly with the tray. It slapped into the side of the creature and sent it shuddering towards the balcony opening. Where the silver touched, the creature’s body turned black and red, hissing and oozing. But it wasn’t done yet. The scythe appeared once more, slashing out and towards the northerner. The silver tray came up like a shield in both hands, and collided with the vaporous blade! There was the sound like a thunder shriek! And red and black tendrils went flying from the wraith’s body. The creature staggered back. And the Nagarathi spun about, swinging the tray’s edge before him, slicing into the creature’s chest and forcing it to the balcony door. The wraith’s form appeared to waiver and dissolve. Howling the Nagarathi charged forward, tray held before him. He threw himself through the air and collided with the mist. At the touch of silver, the wraith returned once more. Ailana could see the broken body of the hideous woman, turned red and black and oozing…. She could see it, as the force of the Nagarathi’s onrush carried both he and the creature to the balcony railing. And didn’t stop. The two went out and over the railing, sailing with shrieks and howls over the balcony’s edge, and plummeted into the waiting darkness beyond! I do hope Nagarathi bounce. A soft thud would be a sad ending of Narrin'Tim. You do have a bit a sadistic side to you, with what you keep throwing at those you write about. Bedroom invasions, is it a dream, a nightmare, no, it is death. What is it about Sapherians (and Chracians) having soft spots for the Nagarathi? I think Headshot would say it runs in Ailana's family. The two falling twisting in terrible struggle! But then the wraith shuddered and contorted and great black feathered wings, like the wings of a mighty raptor, sprouted from its back lifting the creature up with a boom of air and carrying it out over the bulwark and towards the desert morning. It receded at frightening speed, becoming smaller and smaller in her sight. And all the while she could see the tiny figure of the Nagarathi warrior, holding on to the creature, while flailing at it with his free hand. Ailana turned back to the room. “Guards! Lothello!! Anyone!!! !” she shouted. Footsteps were rapidly approaching now, so Ailana hurried and grabbed her day robes and cloak, throwing both about her shoulders. She was slipping on her softskin boots when the door burst open with a pair of colonial warriors rushing into the room, swords bared. “Awaken the garrison!” Ailana snapped. “And get Lothello! And whoever knows the desert best!” She leapt to her feet and grabbed her sword up from the floor. Standing tall again, she turned to look at the two befuddled guards who were staring at the chaos of the room. They found the Shadow Warrior about a mile outside the bulwarks, seated upon the edge of a sand dune. He looked a fright: his face was all caked in dried blood, and his leather tunic was torn and rent in several places. But as Ailana and the little search party led by Sentinel Atlan approached, the northerner simply pointed to the base of the dune. There lay the blackened remains of what appeared to be a mortal skeleton. “Well, it is dead,” the Nagarathi said. “At least…more dead, I think.” He finished with a shrug. Ailana peered at the remains: a skeleton lay there with the silver platter buried between two of the vertebrates of its neck. The skull, curiously, was absent. “What is this…?” she started, but before she could get very far, the young Chracian princess (who had insisted quite vehemently that she come with the search party), ran up to the Nagarathi and punched him on the shoulder. “I…” The Nagarathi looked flustered. “If Asuryan wanted the Nagarathi to fly he would have given them wings!” the little red head declared in a scolding voice, fists on her hips. Ailana only nodded absentmindedly. Her attention was fixed on the way the Chracian girl was staring and pouting at the tall northerner. There was something there. A familiarity. And how her hands were lingering on his shoulder. Her eyes narrowed. Did this….? Could they….? She found her cheeks flushing as she marveled at the burning sensation in both her face and her own chest. Am I… jealous? Ludicrous! She snapped at herself and shook her head. She turned away from the pair and saw Atlan leaning over the black skeleton. “I don’t understand this. This can’t be…” he was muttering to himself. “What is it?” Ailana said, pushing the Chracian from her thoughts. “Or aid,” Ailana finished, eyes narrowed. The Sentinel hesitated, then nodded. “Come. We should return before the sun gets much higher. And I must inform the Minister of what we have found.” He gestured to his warriors and they began to walk back towards the tower. Ailana moved to follow with Lothello at her side, when she felt a hand on her shoulder. Narrin’Tim was there looking hard at her. “Of all the Tower…. Why your room?” he said. “This,” Ailana said, and slapped the glass bottle down upon the table in her chambers. The servants had been busy cleaning the room throughout that morning, and yet still the bed was in tatters and she could see blood smeared upon the wall. The room was a loss and already the Minister had assigned her new chambers. And proffered his most sincere apologies and promises to redouble the search once more warriors arrived from the City of Spires. Ailana had barely noticed his assurances; she had been in a hurry to return to the scene of the attack with only the Nagarathi with her. Now alone with the northerner she felt free to speak. The Shadow Warrior stared at the little bottle, and then prodded it with the end of his bow. He looked at her with an upraised eyebrow. She reached into her garments and produced the second bottle and slapped it down on the table. She reached into her robes then slapped a third bottle down on the desk next to the other two. The three were identical in shape and size, down to the last taper of their necks. But were otherwise unremarkable and unadorned. The Nagarathi stared at the three, tight lipped for a long while, while Ailana impatiently waited. He finally picked one up and examined it closely, then sniffed at its open mouth. “That can’t be a coincidence,” Ailana said, arms folded across her chest. The Shadow Warrior nodded. And just stood there. The seconds lengthened to minutes and Ailana lost her patience. She glared at him, ready with an unkind word or two to say, but…. He was right. “I believe you,” he said and nodded. “Yet we have found the weapon. No small feat. And yet… why you? Or the others that were attacked?” He frowned at her. “Which may be a good thing,” the Nagarathi said and looked thoughtful. “They were all here to negotiate for the ithilmar were they not?” the Shadow Warrior asked. The Shadow Warrior hesitated, then reached into his jerkin. “Look at this,” he instructed. From under his leather vest he produced a rough cloth sack. He placed it upon the table next to the bottle and then carefully opened it. Inside was revealed a black skull, fanged and misshapen. Ailana gasped. The Shadow Warrior just stood there and looked down at the table-top and its strange assortment placed there. “I…I can’t understand. It’s not making any sense,” Ailana reached up and gripped her temples. The Nagarathi nodded. “We need help,” he said. “But who? How?” Ailana said. Ailana frowned and felt her pride battle with her frustration. She was the Seeker. She should be able to uncover the Weave. And yet, what the young northerner said was true. More eyes would certainly be of help. And more heads. The Nagarathi’s brow furrowed. “He is Eatani,” he said. “They always wear at least two faces,” he mumbled as if quoting something. She hesitated. Then thought of the missing documents. The one taken from his brother’s chamber. Had he told her the truth? There was no way of being sure. “Alright tell me when and where and I will meet you there.” She gathered her things and stood up. “Where will you be?” he asked, concern in his eyes. “There is more I need to investigate. And…we will need another’s aid for that,” she answered and started walking towards the door. Made of Ithilmar you say? How odd, but hunting these is a profitable sport. The room Narrin’Tim had chosen for their meeting turned out to be the very council chambers itself, at the pinnacle of Tyr Wadi. A brazen choice, Ailana thought, but a sensible one: the council chamber was the most isolated and secure room in the tower, with only one long winding stairways leading to it, and thick walls to prevent eavesdropping. And with the delay of the trade mission the room was left vacant that evening. Sealed, of course. Though as she finished climbing the steps leading to the room, Ailana could see that a locked door had proven little obstacle to the Shadow Warrior. As she entered she could see Narrin’Tim standing in the shadows. With him, not surprisingly, was the little red headed princess from Chrace. She sat in one of the council chairs only a few paces from the tall northerner, her eyes flicking from Ailana’s to Narrin’Tim’s face. However the other occupant of the room was something of a surprise: the little crippled Caledorian, all huddled within his robes, and himself, occupied a seat on the opposite side of the table. His face hooded, but apparently turned down to study the blank expanses of the council table. Ailana bit her lip and stood at the chamber entrance. The sacred flame had been allowed to slumber. She could see that the open center of the council table where the silver brazier stood, held only a few glowing red coals with only the slightest of yellow-blue flames dancing above. It was the solitary light for the room: casting everything in a deep somber crimson that bled to deep maroons in the shadows. “Can we speak?” Narrin’Tim asked. She shook her head. The young Nagarathi returned to his silent pacing, white bow in hand, and a glowering countenance. Ailana took a seat at the table. There was a sharp pang under her arm. Looking down she reached into her robes and felt the ithilmar rose that rested there. It was almost as if she could feel the cool starlight that was embodied within the metal alight upon her fingertips. She sighed. “Such a small thing to cause so much blood and fear,” she whispered. No one answered. No one said anything. They sat and she stared. Chrace, Caledor, Saphery, and Nagarythe. What a strange companionship we have found here…. Ailana absently nodded, her thoughts wandering to the rose within her robes. What to do? “Do you think there will be a marriage?” the little Chracian princess asked absently. She seemed to be watching Ailana out of the corner of her eyes however. “I… Maybe. I don’t know,” Ailana said. “My brother would never allow that with… Spires,” the Chracian princess said haughtily. Ailana just sent her a sour look. Then they could hear steps approaching. All eyes turned to the chamber doors. The handle turned slowly and the door opened. Beyond, his outline illuminated in desert starlight, stood Sentinel Atlan. Alone. Ailana nodded to him. She watched the colonial warrior hesitate at the threshold. “I have come as bidden,” he said carefully. “Yet I will not participate in anything…disgraceful.” He was dressed once more in his levy armor, though Ailana could see bandages through the gaps in the mail. Asur medicines were powerful indeed, even without a dedicated practitioner of the Jade Wind on hand; in only a few short days, the colonial warrior had returned from near death to stand before them. 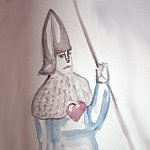 The warrior hesitated another moment, then stepped inside closing the door behind. “Why have you gathered clandestine like this?” he challenged. She had been preparing that little speech for much of the afternoon. Ever since she had determined whom to summon here. She hoped it work. Atlan simply stood and pursed his lips. The colonial warrior gritted his teeth as the others watched. “We have done no wrong,” he asserted. Slowly, reluctantly, the Spires’ warrior nodded. Ailana shifted her eyes to the others in the room. The Chracian and the Caledorian just looked confused, though they nodded. Her eyes however lingered on Narrin’Tim. His mouth was drawn thin, and his eyes were hooded. The Nagarathi let out a breath. “No.” After a moment he said, “Five is a good number.” He shrugged. Well, not exactly what she had been hoping for, but it was a start. “So no more secrets then?” Ailana pressed. “Do I have all of your oaths on it. Taken before a Seeker in her duly appointed task?” Hesitantly the others in the room nodded. All the others of the room were now staring at the Nagarathi with eyes reflecting varying degrees of surprise or suspicion. “Tell me about the Druchii in the desert,” she ordered. The room went so cold. So silent. Ailana could hear the embers in the sacred brazier crack and sputter, and nothing else. No breath. No stir of robe. “You don’t mean?” the Chracian said, and covered her mouth. “Yes,” Narrin’Tim answered, and looked very grave. Now it seemed as if all the remaining heat of the room had been drained from it and the cold breath of the Arakis let in. The Witch King! The Undying Dreadlord of the Land of Chill, and the only son of Aenarion, the Founder of the Ever Empire! He who was the enemy before all others. The mad master of a shadow empire that reveled in torture, slavery, and conquest. “Preposterous! !” Atlan snarled, his face burning with outrage even in the dim light of the chambers. “Preposterous slander!!! I will hear no more of this treachery!! !” He turned towards the chamber doors. “Nothing. No signs of ships. No hidden warehouses. For years we have searched and yet we can find no evidence of smuggling with the North,” he admitted. “You find nothing because there is nothing to find!” the Sentinel growled. “Or Spires is very good at hiding that which he does not want seen,” Narrin’Tim said with a shrug. Narrin’Tim sighed. “It was my turn to spend time with the garrison here. I and my brothers. We were serving one of the City’s vassals on the Dragon Isles when we spotted a small Druchii vessel sailing past the island and heading north,” he explained. “This was curious. It was a strange season for raiders. And the vessel was smaller than the usual Corsair Reavers. And it was making with all speed towards the coastline. We followed it.” He stopped his pacing and rubbed his jaw. “Because they are Druchii,” the Nagarathi said simply. Ailana nodded. She had never met nor faced the Druchii before that day in the desert. But she knew all the stories: how in the North, poison and the hidden blade were the means to advancement. Even among kin. “So you came upon a dead ship, and then followed the tracks of the two into the Darklands?” the Caledorian asked, his eyes watching. “You thought that they might be coming to the borders for a secret rendezvous? With representatives from the City?” Ailana guessed. “And then?” Atlan asked. Even the colonial seemed drawn into the Shadow Warrior’s story. “But why come to the Arakis?” the Caledorian said puzzled. “And how did he escape the Chaos Dawii?” Ailana pondered aloud. “He was imprisoned in the Tower. And he escaped,” Atlan said simply. The Sentinel looked baffled. “I do not know,” he admitted at last. Ailana thought. “But why? Why would someone aid the Druchii? Or someones? Unless….” A cold thought struck her. “I was told that the ithilmar was discovered during excavations to create the Sanitorium. Is that so?” she asked Atlan. A nod. Ailana frowned. She could demand passage as Seeker. But knowing what she did now, did she want to do that? Publically, so all the tower could know? “I will go,” Narrin’Tim said. “I am not needed here,” he gestured to the council room about, and Ailana thought she detected a note of relief in his voice. “I will go with him,” a small voice said. Ailana was surprised: it was the little Caledorian. She saw his eyes blinking from out of the hood. “No one will miss me from these meetings either. I don’t do anything,” he seemed to blush in the hood. “I’ll excuse myself from the council. I have no new offers to make,” he finished with a shrug. “Alright. It is agreed then.” There were nods about the room. It was night again. Narrin’Tim stood in the shadows beneath Tyr Wadi and watched Atlan stride across the courtyard to the guards above the stone door. The sepulcher door of the Sanatorium was shut and locked…and still terrifying, even for him. And Narrin’Tim watched with narrowed eyes as the colonial Sentinel approached his men; if there was to be treachery, now would be the time. Talossar fidgeted behind him and Tim reached back and silenced him with a touch. His other hand held the mighty Avelorn bow, gifted to him all those decades ago. He had an arrow already in his bow fist. However, Atlan approached the guards and said, “I will feed and water the Cursed tonight. Give me the key.” The guard handed over a large brass key to the Sentinel. Then Atlan said, “I want you two to do a careful search of the courtyard perimeter. Warden Harkonn fears that the goblins might return in stealth. Make sure there is nothing.” Salutes followed, in the curious colonial style, and the two elves quickly disappeared towards the bulwark wall. Atlan gestured, and Tim and Talossar crossed to the sealed doors. He felt a shiver run through his spine. Felt the cold clamminess that had nearly taken him before. That shivering fear that ran up and down his body and threatened to close his eyes and send his mind into cacophony of screams. He had never liked dark, confined places. He was of the People of the Sky, of the Skystones of the Western Hills of Nagarythe. He had grown up in a place of vast reaches, high above the fjords and hillocks below. Where beyond one’s outstretched fingertips lay an infinity of air and space. To go below the ground, like a Dawii…it just felt unnatural. It felt worse than that: it sent his blood to ice and his brain to sleet. He wanted nothing to do with it. And his thoughts of his long imprisonment below, the constant seconds of struggling for breath in that fetid place, for hearing sounds, but seeing nothing within the black….and how he wanted to cry out in utter despair and panic…. All those thoughts were close. Too close. He did not want to return. But he was Shadow Warrior. With bow and arrow in hand Tim gritted his teeth and descended into the darkness. At the base of the steps Atlan lit a torch with flint and tinder and passed it to him. The light helped; but only a little. One more was lit and then wordlessly they passed below. The place was as he remembered it: the black, the stifling air, the rank stench of old stone and dust. The torch flickered in his hands and shown little more than rough-worked stone walls and sand-strewn floors. And then the cells started, and with the cells the murmuring. Voices. One after another. Some plaintive, some furtive. But all beseeching. Crying and muttering to the dark…for something. Some reprieve. Some solace. They begged, wheedled, cajoled and threatened as the group passed. But not to them. Never to them. They spoke to people unseen, places unknown. They called out strange names barely understandable through the sobs and hoarse throats. The madness was all consuming here. It was almost palpable, like a pressure upon the throat. It reminded Tim of a place, far to the north. An isle of Nagarythe. A blighted place where few dared walk. For there, the earthly manifestation of Khaine was kept. And…and it called to you. To all that passed within its domain. Reaching out with a power that seemed to bury itself into your very chest, and wrap its tendrils about your heart. Here, in the dark beneath Tyr Wadi, Tim felt a terror…and a presence…that reminded him of that frozen isle. And with the walls and ceiling pressing down upon him, he could feel it whispering inside his brain. Its clammy fingers playing upon the back of his neck. He clamped his mouth tight, and chewed upon his cheek, until warm salty blood trickled into his throat. It helped; but only a little. “Why is that?” Talossar asked in a whisper. The tunnel continued and as it went its gradient increased, until in a short time they were shuffling along trying to keep their balance on the slope as it descended. Tim could see that the walls here were more uneven: narrow in places, and lower in others. The marks of tools – chisel and pick – could still be seen. Then before them he spied another metal gate, closed and locked. His voice trailed off. Before them Tim could see the rough stonework corridor end at a fissure. And beyond the fissure he could hear the echoes of their steps return to them magnified many times. Tim advanced to the fissure and swept his torch across the opening. Hesitating a moment, he tossed it in. The light arched and swept through the air, downwards, until it settle on a floor some twenty paces below. And they could see…. “By all the gods! Look at that!” Talossar gasped. The walls and floor about the torch glistened and shone in its ruddy light. Tim could see the flame dance in silver surfaces all about the chamber beyond. For many paces the light stretched out and everywhere he looked there was silver. Ithilmar. It was all ithilmar. And more surprising, he could see columns and worked walls. Great slabs cut from the precious metal each one taller than he and worth more than all the treasures left in Nagarythe! They stood one atop another creating a chamber that towered overhead. And there were steps! Steps along the walls leading down. Slowly the three advanced and wondered. They continued down the steps unto the floors crafted of solid and smooth ithilmar. They reflected up to them as silver mirrors, showing their own surprised faces looking down. The lofty ceiling was some thirty paces overhead, and just barely Tim could see the torches flickering in the metal. Tim came up beside him and stared. “But here? How?” Atlan marveled. Tim turned and crossed to where the little Caledorian stood. He had picked up the thrown torch and now held it up revealing a massive plinth of ithilmar in what Tim supposed was the room center. The slab of metal was nearly ten paces long and half that across, and seemed to be composed of raw ithilmar. It must have weighed more than the tower above! Tim marveled at it. But it was the surface that Talossar was staring at. There, etched in the starlight metal, were elven runes. Five of them. “What is this?” Atlan asked. “I know that one,” Tim said with a gasp. Indeed, every elf child of Ulthuan knew that one. For in the center of the starmetal plinth, the largest of the runes was carved…. “By Isha’s Light,” Atlan said and bowed his head. “Aenarion’s mark! Here! How?” Talossar was all abustle with gasps and squints. “What does it mean?” Atlan mumbled. Tim looked up, a reflection amongst the silver past the plinth had caught his eye. He advanced around the great slab carefully and cautiously, and knelt down. Tim nodded at that. He could see the thick coating of dust atop the Corsair mail and broken blades. But more ominously, he could see the bones contained within the ringlets: the skeletons of the Druchii that once wore the armor lay beneath them, broken and shatter in a thousand places. Even the very skulls had been snapped into a dozen pieces, leaving shards in little piles, each composed of what had once been teeth and jaw and cranium. “There were three,” Tim said. “Captain Harkonn?” Atlan called, confused. And indeed Tim could now recognize the scarred visage of the elf standing there. Tim stood slowly and watched the solitary figure, standing there, head bowed in thought. Tim could see the Warden standing there, head bowed, lost in thought. “When the storm subsided, the Druchii were scattered across the wastes. Many dead, and the survivors scattered and lost. My rangers and I followed one of the larger groups. Five there were. Five Corsairs who slowly tried to escape the Arakis wastes. And as they wandered, what should they find, but something the motion of the dunes had revealed: this place.” Harkonn held his hands up and gestured about him. “This vault? It is buried deep,” Atlan said confused. “How?” Tim asked, a strange horror rising in his chest. “Oh the temple has many defenses. It was built by Aenarion’s will after all,” Harkonn said with a wave of his hand. “But the more interesting realization is what it was built to contain.” The warden produced a torch from behind himself and walked up to one of the chamber walls. As he approached Tim could see the light reflecting and dancing within the ithilmar. Burning brighter and brighter as the torch drew close. And then he could see something else. The torch pressed up against the metal, the light turned from reflection to a shimmer of glass. And Narrin’Tim could see something within the walls. A figure of a giant huddled in upon itself! And there in the breast, a bright red glow. And the glow pulsated. And as Tim looked he could see more. Many more! Buried within the lengths of the walls. One after another! Slumbering giants by the scores were set within the starmetal! “By the Gods, what madness is this place? !” Atlan cried and looked about. “What are you talking about? The Prince of Spires knew of this?” Atlan said aghast. “And they did,” Tim said, realization dawning on him. From within his robes he pulled forth a deep blue stone, a solid and translucent cerulean. It was the size of a closed fist, and covered the breadth of the Warden’s palm. Tim turned and looked with horror at the starmetal plinth. Suddenly his arms went slack. He grunted in surprise as the weight of the string seemed to increase. What had been four stones of pull, doubled! And the very bow itself seemed to drag at his hands. Tim grunted then gasped as the string fled from his fingers and the arrow shot wide into the ground. He continued to breath heavily as he struggled to hold the Avelorn bow. The white wood dragged at his grip, then slipped from his fingers. He fell to his knees, finding no strength to hold himself upright. “What do you know of shadows, Shadow Warrior?” a voice called mockingly from the darkness. Tim panted and struggled to gain his feet, but could not. He managed barely to remain of his hands and knees. It took all of his strength to continue to pump air into his lungs. His chest felt so leaden. So heavy. Tim could see Talossar and Atlan alike sprawled upon the floor beside him. Atlan was looking up with rage, his eyes fixed upon Harkonn. “Do not speak to me of treachery!” the Warden snarled back. “Treachery is rendering a life of service to a city and its prince. Treachery is then watching your wife waste before your very eyes! Waste into a madness devoid of recognition! A madness of blood and bile! Where she cannot see her very kin! Where she cannot speak! Cannot remember! And…after all that! To turn to the prince you have served faithfully for centuries to receive what?!! A letter. A letter of condolences!!!! THAT IS BETRAYAL!!!!! !” the Warden finished, his rage shouted and amplified by the echoes of the room. The Warden took a moment to breath and steady himself, eyes closed. When he looked up at them once more. “I serve a new prince now. The rightful Prince of Spires.” He slipped to his knees and bowed to the cowled figure beside him. The figure reached out and laid his hand upon the bent head. “Who are you?” Tim managed to say. His jaws barely had the strength to move. Tim stared as the figure approached him. It stood only a few paces away. The figure reached up and began to draw back the hood. Tim gasped. The hood was down, and Tim could see a mask, forged from purest ithilmar. A mask of elf work showing a face, devoid of expression. Just eyes and mouth and nose, set in silver starmetal. But within the metal eyes were holes, and behind those, Narrin’Tim could see eyes of flesh, burning bright white and yellow with madness and hatred!! "Yes, Nagarathi! See what my brother did to me! His wasteland prison was not enough. He forged a mask and sealed it to my body to hide my features - his features!! - from the world for an eternity. He fixed it to my body, hot metal on flesh, as I lie screaming!" "You!" Tim gasped. "You were in the Sanatorium." “Now our agent has acquired the last of what we need. Morthol will rise tonight and reward us with the power to destroy my venomous brother,” the voice came through the small slit in the mask’s mouth. The hand reached up and waved. An echo came across the chamber; the echo of a click. Then the hideous sound of grinding. Metal upon metal. Tim looked up. He could see the ceiling slowly descending towards the floor! “Farewell Nagarathi,” the masked figure called as it disappeared up the steps with Warden Harkonn beside it. Last edited by Headshot on Sat Feb 08, 2014 5:31 pm, edited 1 time in total. FECK! Relevations, how will our adventurers escape and save the day? Daemon influenced Asur, this is why elves need to stay in the light of Asuryan. Crazy turn of events here. How unexpected! Can't wait for the next part. Ailana stood before her chamber door…and hesitated. Her hand rested upon the door handle. Her head was bowed. She stood there alone in the corridor, dark with the late hour, and thought. It was done. She had made the offer. A marriage between the Prince of Spires and the Princess of Tor Irian. In exchange for rights to ithilmar and trade. She stood there and chewed on her lip. What choice did she have? That much wealth and influence! She couldn’t see it go to Ellyrion or Tiranoc! Or any of the other kingdoms. They needed it in Saphery! Needed the ithilmar desperately to repair the damage and loss from the Great War. The Druchii invaders had not been satisfied with butchery and carnage; during the occupation much of the wealth of the kingdom had been stolen and taken north. Including priceless ithilmar relics and weapons. It had to be done…. But why do I feel so miserable? Was it the Minister’s triumphant expression. Or the smirks of the Cothiquian? Tiranoc had glowered. And Ailana had said the words; said them slowly and formally, seated before the council fire. It had come out of her mouth, but it felt like the words were not hers. Like she was sitting outside of herself watching her say those things. Yet it was done. Now she would have to take the proposal to Irian and Aicanor. And see what the House said of it. She did not look forward to that. But she had no choice! It was insanity to think otherwise! Oh how everyone speaks of Asuryan’s final gift – the gift of free will – as the greatest sign of his Compact with the Asur. Yet it was a lie! When was she free? Always doing what was told of her. At the Tower. At Irian! She had to be the good supporter of the family. “Serve your cousin and your House,” the elders always said. And she had! Even unto here, in the wastes on the far side of the world, her duty followed her. And worse…how can you be free when your choices are ignobility or destruction? The slow death of poverty and demise over generations. A House wasting away because it did not have the resources to compete. That was no fair choice!! What was she to do? ‘Do without? !’ Do without??! That cursed Ranger had said! As if she could turn Saphery into another Nagarythe. A shadowlands of inconsequence and cultural famine! No! She was responsible to keep Saphery strong. Important. Not only Irian, but the other Wizard Lords depended upon her. The other Houses of Saphery. And then there was the ancient alliance with Avelorn to consider. Saphery was Avelorn’s right hand in dealing with the world. It was Saphery that saw to the needs of the ancient elfhome beyond its borders. Who most aggressively made sure that the needs of the kingdom – in amber, gems, silk…and ithilmar! – were met. Do without? Damn that Nagarathi. Anger moved her now. She pulled on the door handle and felt the latch release. Stepping in she was prepared to give a tongue lashing to the northern ranger. Yet the room before her was dark and empty. She frowned. The hearth fire should have been lit by the Tower servants preparing for her return from the council chamber. There should at least have been a lantern set upon the desk…. She heard a noise. Looking about she saw a figure standing upon the balcony. Ailana stepped closer. “Tim?” she called, a little hesitantly. She moved another step towards the balcony. The moonlight brought the figure in view. “Yes, my lady,” the Eatainian Sword greeted her with a solemn expression. “I’m afraid I need you to come with me,” the blonde elf answered and gestured to where he stood on the balcony. Ailana noticed then that he stood upon a curious sight: a carpet, or red weave and gold sigils, was spread below his feet. And it hovered some inches above the ground! Enchanted, certainly! And a powerful enchantment at that! But then she noticed what else was there, draped over the back of the carpet she saw the supine figure of the Princess of Chrace, bound and gagged. The girl was looking at her wild eyed and struggling. Ailana’s hand went to her belt. Only remembering when her hand clutched nothing that she had left her blade on the chair before she left for the council. Her eyes shot that way. “I’ll scream,” she said and slowly, surreptitiously, backed towards the door. The Eatainian’s arm whipped out and across his body. Something sailed through the room dark. Ailana instinctively flinched and dropped her stance. Whatever it was passed over her head. Behind her she could hear the sound of glass shattering. The girl turned and looked. She saw a pair of broken bottles laying at the foot of the closed door. And from them a vapor spilled forth, grey and witch green in color. “You have but moments before the Jinn seek to feed, my lady. This is your only way out,” Lothello called. Ailana staggered back, and looked around. Anything? Any weapon? The vapors were now tall, and congealing in upon themselves. She saw black eyes, like pools to the abyss, now staring out at her from the mist. She saw the hunger there. And then a hand seized her arm and she was pulled back and thrown down unceremoniously. Lothello was standing there, and in an instant she was up, up high into the night sky, the wind whipping around her! She wasn’t sure if she was screaming or not. “How can you do this? !” Ailana snarled. She stood there upon the sands, her hands bound behind her, eyes glaring at the Eatainian before her. The little Chracian was standing beside her, struggling mightily with her bonds, her face red with the effort. But the blonde swordself seemed to pay them no mind. He was gazing back towards the tower some mile in the distance. From where the three stood the tower was just a slender shaft of mauve amongst dune and star. Its few lights, pale in the distance. “You killed him?! But…he was your brother!” Ailana said wide-eyed. “You are mad!” the princess from Chrace snarled. “It was all a lie,” Ailana said, feeling a sickening sadness inside her. “What are you going to do to us?” Ailana whispered. “I’m afraid my allies demand one more thing in return for the treaty,” Lothello said, a note of sadness. He turned away from them. “Your heart’s blood,” his voice came softly. “Are from my hand, yes,” he said and laughed. “A gift from…below, as it were. And my allies.” He looked at her again. “You really are not very good at being a Seeker are you?” he chided with a slight smile. She gritted her teeth at him. Felt the tears of rage and humiliation in her eyes. The Eatainian turned back towards the tower, but not before giving a final shake of his head. “Oh I’m afraid your stalwart Nagarathi will not be coming to your rescue,” the voice came smugly. Narrin’Tim lay upon the cold metal floor. His limbs lifeless. His cheek pressed against the icy surface. He struggled, trying to stretch his arms out before him. The Avelorn bow was so close! Just beyond his fingertips. But too far. He felt as if his arms were of stone, and his strength was of clay. His body was heavy. So heavy. He struggled with all his might to keep his eyes open. To keep the air moving through his throat. He could see Talossar lying in front of him. The same panic he felt etched across the Caledorian’s features. And in the corner of his eye he could see the massive ceiling grinding closer and closer. The sounds of metal, clawing and tearing, were as shivers in his ears. This is to be my death… he thought and felt the panic of the dark and deep return twofold. To lie and be crushed beneath the weight of the earth. It was a nightmare. A nightmare from his childhood…. No. No! We must fight! “Talossar!” he called weakly. It felt like it took all his strength just to move his jaw. “You must break the spell!” he managed to gasp out. The little Caledorian, his body so shriveled and twisted, yet his face handsome of brow and chin, just stared back at him, wide eyed and horror filled. Tim grimaced. His fingers were only a hand’s-breadth from the white bow. If he could just reach…. But his fingers wouldn’t move. His arms lay limp like dead fish. “I can’t,” the Caledorian whimpered. Tim looked up. The ceiling was only a few feet above them now. Its weight would surely press down. Flesh would bleed, crushed blue and black as every blood vessel ruptured under that ferocious pressure. Then… then, bones would snap and break, as the awesome weight pressed downwards. They would be turned to gore and fragment. Just as those Druchii had centuries ago! No sound came from the little wizard. “What?” the Caledorian whimpered after a moment. At his words the wizard turned even paler. His face taking on a sickly grey pallor. But then there was a flush to his cheeks. Anger began to burn in his eyes. The little wizard’s head was lifted off the ground. Anger makes us strong…. It was the wisdom of his father. The wisdom of Nagarythe. Stoke your anger, nurture it, embrace it…then… strike! Talossar’s face was twisted in fury. His body was contorted, and one shoulder rose up. At those words something seemed to snap in the Caledorian. “NOOOOO!!! !” the Caledorian raged, a mix of fury and horror written in his eyes. And he was sitting up. Just like that Tim felt strength return to his arms. He leapt for the Avelorn bow and twisted it in his hands, setting it upright upon the floor. A second later the massive ithilmar ceiling touched the wood. A thousand tons or more in weight it was. An awesome block of starmetal, raw and unworked. Heavy with the minerals mixed within. The massive slab pressed down upon the slender wooden stave…. And bent the wood slowly. Slowly, downwards. Yet the bow was formed from the heartwood of a Bodhi tree: the giant trees found in only one place in all Asuryan’s creation, the forests of starlit Avelorn. The sacred trees that some said were the birthplace of all elves: ‘from the sap and bloom of the Bodhi, came we,’ was the ancient saying. And this bow had been cut more than a century prior with a silver sickle by the light of an equinox moon. Before it was blessed with the Rights of Isha, by priestesses from the Everqueen’s very court. The bow carried the most aged - and the most pure - of Asur enchantments. And she refused to break. Tim held the bow there with all his might, feeling the awesome force trying to twist and topple it. He watched it slowly bend under the ferocious onslaught of the temple roof. He watched Atlan and Talossar scramble on hands and knees up the steps and squeeze on their bellies through the little gap remaining to the stone passage beyond. “Tim!” Talossar called, looking back through the gap. “Not without you!” Talossar roared. And as Tim watched him, he saw the Caledorian’s eyes twist and transform. For the briefest of moments he thought he saw the eyes of a reptile in the Asur’s head. The golden slits of a mighty drake! The predatory eyes of an elder wyrm where elf iris should have been! Then that too disappeared, and Talossar’s eyes flashed crimson and red with their own light! The young wizard’s hand came up into a claw. But…. nothing seemed to happen. Tim stared at the little Caledorian. Stared at the eyes burning with crimson flame. And the column was covered with flames white and blue! There was an orange glow coming from deep within the metal! And it was growing in brightness until it hurt his eyes to look at. Then the column began to sweat! Ithilmar ran in liquid rivulets, like streams of mercury, along its side! The very column itself began to warp and flow, twisting and filling out the ground and gaps above it. It seemed to melt as a candle might, thickening its base as it did. And then Talossar grunted; the flame disappeared from his eyes. And with it the heat. In an instant the frigid Arakis cold returned to the room; the metal hissed and spit, and then cracked! Cracked as it cooled and settled, into a new shape, bent to support the roof. Tim stared, then looked to his bow. Teeth gritted he grabbed, twisted and pulled. The bow came free…. And the roof remained still. Then he started towards the gate and the path beyond. Such a boss, even without a dragon. Very well done! By far my favorite installment so far. Thanks for posting. There are only two words that are suitable to describe it! Wonderful and amazing. Wow, Talossar was useful after all. Great stuff. Although I deny any accusations of what life is like in Elithmar's court. It's lovely really*. Honest. *If you're the oldest child. The air before Ailana suddenly burst into a spinning dervish of wind and sand. Then in seconds it was gone, and where the cyclone had been stood two elves. She blinked as she recognized one as Warden Harkonn. “You!” she gasped. But he paid her no heed and simply walked up to the Chracian princess and seized her bindings. “It is done?” Lothello asked. A nod. “Come,” the third figure said and turned back towards the tower. Only then did Ailana focus on him seeing just old robes and a cowl…and a hint of metal. Lothello pushed at her from behind. She staggered forward. With pulls, Lothello directed her to follow the robed figure as it walked across the desert sands. They walked in silence, fear and anger stealing her voice from her, she could only watch the strange procession she was taking part in. The princess beside her continued to struggle against her binds, but under the Warden’s strong grip made little headway. Other than that, there was silence: the three did not speak to each other, and their eyes were fixed upon the robed leader. He strode calmly, quietly forward. Ailana could see his bare feet leaving prints into the shifting sands. He made a lazy meandering trail, but always in the direction of the tower. It grew larger as they approached. The twin moons now hung fat in the sky, stars blazed above and about them. The night cold felt to her as the cold of the Beyond; as if she herself was lost among Isha’s Tears far above. He raised his hands above his head and Ailana was buffeted by winds of magic suddenly howling about her, invisible to all those without the Gift, but as tangible to her as the razor winds that beset the mountains between Saphery and Yvresse. The winds seemed to roar from out of the stars above, blasting down upon her, threatening to push her to her knees. She squinted her eyes, and struggled to keep standing. Then she saw…the sands below began to move. The dune they stood upon looked as if it was being smoothed out by some giant, invisible hand. The sand came up and outward in spurts and geysers, filling the desert air with grain and dust. But just as soon as it had begun, it was over. And there, rising out of the desert, Ailana saw a mound, smooth and shaped like the flat top of a pyramid. It glistened with an eerie light. “Come,” the masked figure ordered and Lothello pushed and pulled her up the smooth sides of the structure. She looked down and saw the light within the stone. Then realized it was not stone, but ithilmar! Raw and unworked, holding the light of a thousand thousand stars within itself! The top of the structure was bare except for a small metal plinth. “Now is the time,” the muffled voice came again, full of deep satisfaction. His hands lifted upwards and once more Ailana felt the terrible fury of invisible winds. She cried out as they tore at her hair and robes. And overhead, the stars began to disappear one by one…. At long last Narrin’Tim reached the end of the Sanatorium passages. Night air beckoned from past the open stone doors. With immense gratitude in his heart he passed through the doors into the air above. Only to find himself standing in a nightmare. A storm swept over the Arakis. A storm of terrible size and fury. The sky above was swallowed in a billowing cauldron of black clouds. And within that fearsome torrent, he saw flickering echoes of emerald light, flare and burn. As he stood, dumbstruck, a bolt of lightning, burning bright malachite, reached down and licked the face of the tower overhead. A thunderclap roared, and stone cracked and crumbled under its touch, throwing ash and debris into the courtyard far below. Screams erupted as warriors and servant alike scattered for cover. The stench of ozone was heavy in the air. Tim ran with the rest as a block of stone as large as a cart came tumbling down, striking the earth with a boom and shudder. He went down on one knee and shook his head, feeling his ears ringing with the sound. Looking up he could see a light, a light past the bulwark. A light in the desert, a beam reaching up into the sky: a column of unnatural glows, green and white, swirling with will-o-wisps and swimming serpents. Then far above, among the churning storm, something responded. A green glow burned, cold but fearsome. From within the clouds a light burst forth, growing ever greater in intensity. Lightning strike after lightning strike came down and smote the desert with the speed and rapidity of falling hail. Everywhere Tim looked the desert burst into geysers of sand and green lightning. The Arakis became a giant pond struck by falling rain, frothing and bubbling, forming ripples and rings, beneath the fury of the storm. And then from out of the clouds, the green glow shuddered and slithered, coming together into the horrible figure of a visage – eyes and fanged teeth leered down at the world below. Screams echoed out alongside wails of despair. “STAND FAST!! !” a voice called out. To his surprise it was Sentinel Atlan. “Stand fast Warriors of Spires! We will face this horror as Asur! Take up shield! Raise spear! STAND FAST! !” The Sentinel was charging across the courtyard rallying warriors to him as he passed. Tim watched him for a moment, then sprinted over to the bulwark gate, Talossar just behind him. He stared out into the Arakis night. Beneath the evil green glow of the storm and that hideous visage, he saw a structure, rising out of the desert sands. The broken top of a massive temple lay exposed among the dunes, its mirrored surface flashing with the emerald explosions above. And on its very peak, Tim could see five elves standing. And among them were Tarabeth and Ailana. He raised his bow, and took off running across the sands. Ailana struggled at her binds. “Lothello! Please stop this madness!” she pleaded. “Quiet!” the Eatainian snapped and jerked on her bindings. Ailana winced as the pain shot through her wrists and arms. She could see the masked elf, standing to one side. Facing the plinth or altar. His hands still raised above his head, bringing down that terrible blast of winds from the Beyond. She could feel the cold terror in her spine, as something primordial in her reeled from the touch of what was being drawn hither. It felt as if something from the cold black of the vast emptiness past Isha’s Realm…was drawing closer. Something so ancient as to be unknowable. But filled with a terrible malice! Ailana’s eyes shot earthwards. She could see him now too: Narrin’Tim running from out of the Tower’s gates, charging across the desert surface, teeth bared and eyes blazing. Hope flared in her heart. “You told me he was dead!” Lothello moaned. A shrill whistling sound came across the dunes. Suddenly an arrow stopped in the air only inches from Lothello’s face, perfectly frozen though held by no seen force. The bodkin tip glistened in the storm light. The arrow hung in the air for a second before bursting into flames and falling to the ground. Lothello’s face paled further and Ailana turned to the side where the masked elf’s hand was raised towards where the arrow had been. He swung his arms about the temple peak they stood upon, and the air shimmered. Another arrow flew through the night and clattered off an unseen barrier. It burst into flames as it fell to the sands. “But what of the Tower? The garrison will send reports to the City of Spires!” Lothello said, concern and panic in his voice. “They will be the first to feel my power,” the muffled voice replied. Nothing happened. And then Ailana felt a terror in herself. She looked up and could see the giant face staring down upon them. See the cruelty and intelligence within those burning eyes. Lighting came down and licked across the top of the temple. Strike after strike. “Yes!! I can feel his power, coursing through me! !” the masked elf cried out in rapture. As Ailana watched in horror a nimbus of light engulfed the masked elf. His robes caught fire and burned as witch phosphorous. There were cries of pain and ecstasy alike coming from out of the ithilmar mask. Then the mask itself began to melt, running in rivulets down the neck and naked shoulders of the elf lord. Beneath him, the temple structure seemed to ooze; like worms, the ithilmar upon which they stood, climbed up the elf’s body. In seconds where an elf once stood, a statue of purest ithilmar remained. A perfect likeness of the elf. And for the first time, Ailana could see his visage: writ in starmetal the exact likeness of the Prince of Spires. Across the desert the sands rippled and churned. The dunes seemed to bubble and burst like liquid in a cauldron. And then…crawling forth from the sands, Ailana saw hands of stone! They dug from the earth and pulled. And from the sands heads and torsos of nightmare ancient gods – crocodiles and jackals, eagles and ravaging hyenas came forth, their eyes filled with the same spectral green glow. As they clambered she could see that each was the size of an ogre. And fashioned completely of granite and marble. Grey and black the stone giants turned and staggered, with terrifying purpose, in the direction of the Tyr. A veritable army. Dozens strong. And more continued to claw forth from the sands as she watched. Then, between where she stood and the bulwark gate, the dunes opened into a great maw. And from the blackness crawled a beast to dwarf the others! Its body was that of a lion. Its head, that of a mad king, howling at the night. Green flame bellowed from the open mouth. The storm above seemed to echo its call, sending tendrils of lightning down upon the earth about it. It seemed the end of the world had begun. Last edited by Headshot on Thu Feb 20, 2014 10:01 pm, edited 1 time in total. NOt much to comment on but wanted you to know we're still around and reading intently! Love this (though haven't read every single word yet). I'm going to have to give that guy a promotion... At least, if you leave him alive for long enough to receive it. Probably the understatement of the year. I think the average state of being for a Nagarathi is looking awfully angry. I say, bring on those Tomb King Constructs and deamons. We'll show them how we fight in the colonies. We can take them. Even with one arm tied behind our back. I agree, "understatement of the year"
Narrin’Tim fell back towards the tower, releasing flight after flight as he did so. The Avelorn bow, which could strike with the fury of an Eagleclaw bolt thrower, seemed completely ineffectual against the nightmare pouring towards him. The arrows would strike, chipping and cracking stone in the behemoth, but not slowing or hindering it in any way. It was like trying to crumble a boulder with a needle! The memories flooded him. He but a boy, newly elected to the Host of Nagarythe. Brave and cocksure, but untested. They had traveled to the islands north of the Shadowlands. To be near the dreaded call of Sword of Khaine, that which holds the destiny of Nagarythe beneath its blood-stained razor edge. And the armies of the bone lord Settra had waited for them. A night of phantasmal stars and comets. He remembered. Remembered the terror. Remembered seeing a stone monster like this one prowling across the dead island, breathing flame as it went. And he had been unmanned. Curled up on the ground, he had soiled himself. And then he had seen him: the Shadow Prince of Nagarythe, standing alone on a hill. Standing tall, teeth bared with rage-filled eyes. He had brought the monster low, breaking its stone body with his terrible will! All things fall before the Shadow Prince…. That was what was said among the Romani of Nagarythe. Though he hadn’t believed it when he was a boy. Tall tales to give courage to the young, to bolster the elders, to give hope. Is what they had seemed…. But he was alone. There was no one to aid him this time. No one but he to stand before this terror. No that was not true. Talossar of Caledor stood next to him, his eyes burning as he threw fire liquid and metal towards the onrushing gargantuans. The creatures struck cracked and sizzled under the sorcerous onslaught. And behind Tim, the guard of Spires had drawn up into ranks filling the mouth of the bulwark gate. They released volley upon volley towards the stone monsters. To little effect; it was like watching rain fall upon the hillside. But still, the warriors stood their ground! ‘I am Nagarythe.’ The words came to him, spoken so long ago. He could never divine their meaning. Never understand. But now…. Now he knew! With clarity he knew! “I am Nagarythe,” he whispered aloud. And knew that he was not alone. Never alone. Nagarythe stood with him. All those who had fallen before, and all those yet to come! They watched and lent strength to his arm. Narrin’Tim did not yield another step. He stood, tall and still, upon the desert sands. Bow releasing arrow after arrow towards the encroaching nightmare horde…. Ailana watched the second of the blood filled vials being poured atop the altar. And with it she could feel the witchglow in the sky grow in intensity; the whole world now seeming cast in a viperous hue. And knew that she was next. Could see the long dirk in the Lothello’s hands. Could almost feel its prick as it pierced the flesh above her heart. She would die here. Upon these nightmare sands. Her eyes shifted back to the night beyond the shimmering shield that surrounded the temple. She could see Tim standing atop a dune so far away. His bow in hand, before the terrifying juggernaut that bore down upon him. So small and powerless. And then the strangest thing happened…. From out of the boiling stormclouds above, a black flock erupted. Like a flight of starlings, it swirled and shifted amongst the winds and thunder, coiling downwards and downwards! To engulf the Nagarathi. She could barely see him now, concealed behind all those thousands of buffeting wings. All she could make out were bits of his hair and cloak flapping madly beneath the strange onslaught. “Is this the best aid that you could conjure, Nagarathi?! A flight of carrion bird! !” the metallic voice of the sorcerer called mockingly. Ailana stared hard at the cloud of ravens. She could see Narrin’Tim within. See him standing there…. Head cocked, and listening! And then just like that the flock disappeared, arcing up once more high into the sky, diving into the stormclouds overhead! And Narrin’Tim stood there atop the dune, a tight-lipped smile upon his face. He arched his bow once more, but not towards the stone monster; it was held high, almost vertical. She saw the arrow release from the silver bow. It flew high, and higher. It burned white like a flare as it went up. Then slowly fell back to earth. With nothing to follow…. Ailana’s hopes dwindled. Yet something in the clouds responded. Talossar stood in a crouch. His magic had worn his body to straw. He barely had the strength to stand. And yet for all his fire the stone army still approached. He watched the white arrow fly higher and higher, uncomprehending. Watched the flock of ravens disappear into the clouds. Watched and waited, unsure, worry and despair fighting in his breast. Then he saw the fire. Not green of the witch demon, but bright reds and oranges. The clouds seemed to burn with the heat of ten thousand forges! He could see the flames licking about, their red glow dimming the fearsome green visage. And then, then shadows emerged from the clouds! Shadows on wings! Talossar stared upwards, mouth agape. He saw the great leather wings unfurl catching the air with loud booms, as fang filled mouths opened and spat red flame into the night! “A flight of dragons!! But that can only mean-? !” he cried out confused. The dragons swept low over the battlefield belching flame as they came. Where their fire struck stone burst and sand turned to glass! And in their center, a great red brute, gnarled with great age, covered in spikes and horns, swept low across the center of the battle towards the monstrous stone lion that reared and belched green flame from only twenty paces before where Talossar stood. As the dragon passed a light descended from it. An orange glow seemed to emerge from the elder drake, falling towards the earth like starfall! The orange light came down, faster and faster, and struck the stone giant with a thunder and boom!! The earth shook all about them, and Talossar was thrown from his feet. The little Caledorian spat out the sand in his mouth. Looking up he could see the remnants of the stone monster sizzling and burning from the strike. Its head had disappeared into powder and ruin, and its shoulders glowed with the ferocity of the strike! Before the stone carcass, there was a shallow crater in the desert sands, surrounded by flickering yellow flame. And there crouched within the crater, one fist pressed to the sand, a warrior dressed in silver and gold armor. As he stood and strode out of the shattered ground, Talossar could see a long saffron cape flutter behind him. The head turned and one black eye shone from within the flanged helmet, and Talossar could see the face clearly. Malossar, Son of Mentheus, Warlord of Eastern Caledor! “Stay behind me, Tal!” the elflord ordered. A stone ogre loomed out of the night. Its fists covered in spikes and curved blades. One arm drew back and released a furious blow towards the seemingly slight armored warrior before it. The Caledorian raised his shield. The fist impacted with the sound of a thunderclap and a flash of gold light! But the elflord did not budge! Talossar could see cracks racing up the stone goliath’s arm! A sword leapt into the elf’s freehand extended behind him. A long, straight sword of Caledor, beset in gold and ruby. The blade of purest ithilmar began to glow orange, as if still hot from the forge’s fire. Yellow flame coursed up and down the length of the sword. And then with one sweep, the elf lord brought the sword up in a diagonal arc. Like a warm knife passing through cream it slid through the stone monster. And when it had finished the creature stood there perfectly still, until slowly, it slid apart in two! Another came from the right. The Caledorian lord ducked the blow of the monster’s massive glaive and then brought his own blade twirling forward, it slashed across the things legs, dropping the creature to the earth as neatly as if the beast had passed through a guillotine! And yet more kept coming. More continued to climb from the sands. More of the old gods heads burst forth from the desert. Hundreds of them. The Caledorian shook his head. “Damn fool. Somehow I knew you’d say that.” Then he turned aside and strode towards another stone giant. Ailana watched the chaos before her wide-eyed. She could see the dragons laying about the demon horde with blow of massive tail and claw. Shattering stone wherever they struck. And from their backs she could see knights in full armor leaping to the ground, glowing blades of silver in hand, they formed ranks and fought the monsters on all sides. And curiously, she saw figures in faded blacks and browns, cloaked and cowled, slipping from dragon back alongside the knights. “This is not good,” Lothello was muttering behind her. “Heed it not,” came the eerie voice of the metal sorcerer. “The armies of Morthol are infinite!” And as he spoke she could see two more massive pits open up in the sands, disgorging another pair of gigantic lion demons. Green flame met yellow dragon fire on the battlefield, and the desert burned with its hideous fury! “Bring me the girl,” the sorcerer commanded. Ailana could feel Lothello tug at the binds behind her back. Her eyes went frantic out into the night, seeing the sheer bedlam of the battlefield all about. Chaos monsters and silver knights battling everywhere. Dragon flame and green lightning turning the desert into a cratered wasteland. And then amongst the maelstrom, she saw…a figure weaving its way between the combatants. Coming at full sprint towards her, long cloak flapping behind it like a murder of crows in flight. And she saw…a flash of black and gold. Ailana heard the Chracian princess gasp beside her. “The Shadow Prince,” the girl whispered. And then the Chracian was gone. In her place was a spinning cyclone of shadows! That darkness congealed…. And a tall elf stood there, dressed in ancient black and gold armor, his long ebon hair hung loose about his face. His eyes closed and mouth set placid. Then the eyes opened, and Ailana saw the black, black obsidian eyes of an ancient elf lord. Harkonn reacted. Roaring, his sword came up and swung level to the ground. The elf lord stepped forward catching the Warden’s arm under his own and twisting it upwards and about! Ailana could hear the snap of bone breaking! Harkonn howled in pain, but with his other hand pulled free a knife. He dashed that forward with terrible speed. She saw the elf lord’s head turn in time with the blow. A sprinkle of blood flew into the night as the knife cut across cheek! But then the elf lord’s head snapped back towards them…. And Ailana saw the eyes blaze with blue witchfire. Inside that horrible light, burned the golden irises of a wolf. And the elf lord’s arms swung forward. Both palms connected with the sternum of the colonial Warden, lifting him off his feet and propelling him through the air as if he were a rag doll. The warrior struck against the shimmering shield, and held their screaming in agony, until his body burst into flame! The elf lord, blood on his cheek and eyes black once more, turned towards she and her captor. His hand reached back to a pommel over his shoulder. And from a sheath on his back six feet of silver laced steel emerged, its edge glistening in the night. Then he let out a little sigh, and Ailana felt her bonds go slack. She looked back and saw the Eatainian fainted upon the ground. The Nagarathi, sword in hand, strode past her towards the waiting sorcerer. The blades from the collapsed Eatainian leapt through the air into the metal sorcerer’s hands. She saw her own longsword alongside the Eatainian’s saber there. Then blades crossed in a terrible fury. Ailana watched the massive Nagarathi claymore flick about with the speed of a viper’s tongue. Striking this way and that, in unexpected and lighting quick patterns. But to be met time and time again by the curved blades of the sorcerer. And where one blade would catch the other would lash forward, forcing the Nagarathi lord to spin and withdraw to avoid the blow. And with the swords came fire and lightning! A terrible battle was taking place in the Winds of Magic between the two combatants. She saw flame green and blue burst and fly! Beams of light, hideously bright, lash forth and strike ground and temple alike. And she knew that she was seeing only a fraction of the terrible violence the two elder elf magi were wielding on each other. Unseen the winds whipped and struck all about them, flaying stone and flesh with invisible agony! Then she saw the Nagarathi swing his blade in a powerful broad swipe, only to at the last moment, mid swing, reverse his grip! The blade twisted, and caught both swords of the sorcerer upon their downward thrust edge. Then with a draw upwards, the Nagarathi brought the underside of the blade up and out slashing toward the sorcerer’s neck with enough force to sever head from shoulders. She saw the blade connect. Heard a clang like hammer upon bell. Saw a shower of sparks fly into the air. And the sorcerer still stood there, his terrifyingly beautiful silver visage laughing in triumph. Once more he came forwards, blades slashing while his magic probed the Nagarathi’s defenses, pushing the northerner back with flame and force. Ailana watched all this from a crouch, her hands working at her binds with Harkonn’s discarded knife, still streaked with the Nagarathi’s blood. She felt the bindings free from her wrists, and watched the terrible conflict between the two. Despite the Nagarathi lord’s speed and power, she could see no victory in the Weave. There was no way for his greatsword of steel to cut a figure fashioned from pure ithilmar. The starmetal was the hardest substance known to Asur. It was unbreakable. Nothing, not even dragon fire could shatter it. Only starmetal could break other starmetal…. She froze for a second and let that thought reach down into her. She saw the Weave. Saw the Nagarathi lord cast down over and over again. By blow of saber or by fury of magic. Time and time again she saw it with her Gift, saw the inevitable. In every fashioning of the Weave, the Shadow Prince died. She reached into her robes and felt the familiar weight in her hands. “Shadow Prince!” she called out and threw. The rose, glistening with its own silver light, flew from her fingers and arced across the night. The ithilmar from which the rose was fashioned seemed to flash in the night air. Until it fell into the Nagarathi’s outstretched fingers. With a twist, the Shadow Lord came forwards, bringing the slight piece of metal up with his outstretched arm. It spun about with lightning force, until the wedge shaped tip connected with the sorcerer! Ailana could see the slender tip of the stem thrust into the sorcerer’s visage, piercing the metal eye there. A blood like mercury gushed forth and the sorcerer howled in anguish, lashing out with mighty blows of his twin blades he threw the Nagarathi back. But only for a moment. She could see the Shadow Lord recover. He sprinted forward the tip of his great blade cutting the sand beneath their feet, causing sparks to erupt from the temple roof just below. And then the elflord leapt into the air, spinning his entire body about as he did so! She saw the great blade come whistling about as the black clad figure spun. Saw it turn as it flew. Heard the strange sound it made, as the flat of the blade came swinging about. To strike the ithilmar rose upon its blossom head like a hammer on a nail! The sword hit with such force that the ithilmar shaft was driven deep into the sorcerer’s head. Until the stem protruded from the other side…. The sorcerer collapsed to his knees and all about there was a terribly crying of rage and anguish! She could feel it echoing down from the skies above. See that great green face howling among the stormclouds!! And then flame, green and furious, erupted from the broken body of the metal sorcerer. She felt the heat sweep over her and she screamed. Feeling her skin begin to blister…. But only for a second. Then strong arms swept her up into their embrace. And she felt herself shielded by a crouched figure, dressed in black and gold. The green flame burned all about them, with hideous heat. And that figure stood between her and it. Stood surrounded by a kaleidoscope of colors. Winds of Magic white, red, gold, and green, flared to life as the flame burned, called down to wrap the Nagarathi lord and her in their protective embrace. Until finally, the grey wind poured from the sky, the wind of shadow, struck down around them, and in its cool embrace crushed the last embers from the sorcerer’s flame. Ailana opened her eyes and looked up. She saw the stars twinkling far overhead. And no sign of storm nor demon lord…. The rest was a blur for Ailana. She felt herself carried then led across the desert sands, until she once more stood before the tower of Tyr Wadi. She could see the confused and fearful features of the Minister standing there amongst his men. And she could see Narrin’Tim, standing to one side, smiling. “I am the Shadow Prince of Nagarythe. And I am here for my warrior.” A hand pointed towards the northern ranger. The negotiations were quite epic. Nagarathi were even more epic, but that was to be expected as they tell the chronicler what to write. Enjoyable as ever. And good to see Ailana still around. Good stuff once again, keep 'em coming!